Mobile technology is revolutionizing entire industries. Sometimes it even creates something new, like ride-sharing services. Uber wouldn’t be possible without mobile phon es. The printing business can take advantage of what mobile has to offer as well. Mobile technology isn’t the only factor causing changes in the printing business, but it creates possibilities for printers to create new billable services and deepen relationships with clients. Smart phones and tablets enable exciting developments happening in the printing business. 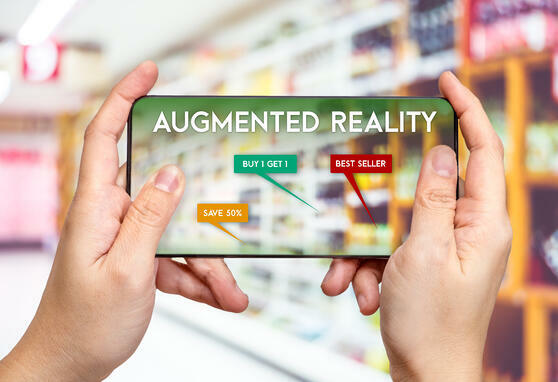 Mobile barcodes (QR codes), near-field-communi-cations (NFC), and augmented reality (AR) all take individuals into the digital realm from a point that starts with a printed document. These technologies offer far-ranging possibilities. Printers have barely begun exploiting the capabilities and more importantly, to sell the concepts of mobile-enabled print to their customers. QR codes should be familiar by now. When they first became popular printers rushed to include them in marketing campaigns, sometimes with poor execution. Use of the codes dropped off, but have resurged somewhat after Apple included a QR code reader as part of the iPhone’s camera system. Apple’s move eliminated the biggest drawback to QR codes–requiring users to download an app, start it, and wait until it was ready to scan. Unfortunately, Android phone users don’t have a built-in QR code reader, so their experience with the technology has not changed. QR codes send users to mobile-optimized landing pages, videos, product details, the mobile app store, and more. Printers must include the destination as part of the code. Testing is critical to ensure consumers can scan the codes and they lead to the desired web locations. QR codes work well in direct mail or on posters and flyers. Be sure clients will display the printed materials in areas where consumers have mobile access to the internet. NFC is the technology that enables the “tap to pay” applications that speed checkouts at retail locations, but printers can affix NFC tags to printed materials, allowing print to communicate with smart phones. Applications might include posters advertising an event. By approaching the poster with a phone, customers could watch promotional videos or movie trailers, buy tickets, or register for a conference. A phone connected to marketing materials featuring NFC tags might download a white paper or lead to a landing page on the web. NFC tags on flyers or brochures could set up appointments for free consultations or download an app to the phone. NFC tags come in various sizes. The antenna (a thin coiled wire imprinted on the tag) allows the tag to connect with a smart phone which powers the tag. Smaller tags mean shorter antennas so users must place the phone very close to the tag to have them connect. Test various sizes and tags from different manufacturers before going into full-scale production. Unlike methods that use a phone’s camera for initiating a next step, NFC doesn’t require phone users to download a special app or find the right lighting conditions to allow the phone to read encoded data. As long as the phone is NFC compatible the function is always active. Is it Real, or is it…Augmented? Augmented Reality requires an app on the smart phone. Once installed a user points the phone’s camera at a printed piece. When the phone recognizes the printed image, it overlays the static image captured by the camera with a digital layer. The AR app can direct users to web pages, show them videos, play animation, or allow users to interact with content in a variety of ways. The great thing about AR is it will work on materials you’ve already printed. Scanned images contain no special characters or hidden codes. Printers supply an example of the image for the AR app to recognize, possibly long after they produced the documents. Applications could include signage, marketing materials, menus, or even transactional documents like bank statements or insurance claim reports. Unlike QR codes, images that trigger AR experiences do not detract from a printed piece’s appearance. An AR app can recognize fine art just as effectively as a jumbo postcard. If you are using the mail to deliver pieces containing NFC or AR technology, check out postal promotions that discount the postage by 2% during the promotional period. You must sign up in advance. See more information about postal promotions at https://postalpro.usps.com/promotions. Mobile-enabled technologies allow printers to have meaningful talks with their clients about helping them achieve their business objectives. They take the conversations away from a focus on paper and ink and allow printers to talk with their clients about what comes next. Print becomes the gateway to the most valuable piece of the project instead of the ending point of the discussion. Talking with clients about these new techniques will be awkward until printers gain experience with them. The best way to get familiar with QR, NFC, and AR is to use them on your own campaigns. Buy some NFC tags and see how they work or contact vendors in the AR space and plan a pilot project. Try out QR codes on your next direct mail campaign. In-house projects will also help you determine your costs and pricing. We don’t recommend printers use mobile technologies as a way to sell print. Don’t give them away. They have great value and should be sold as such. The printing business is changing and part of the transition includes leveraging new technologies that help clients attract leads, improve customer experience, or retain customers. Get involved and add mobile technologies to your customer presentations. 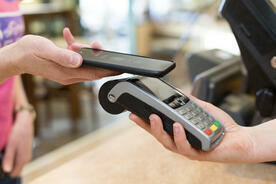 Want to improve your customer experience through mobile technologies? Contact Gimbel & Associates for a free consultation.